At Cosmetic Dentistry of New Mexico, we offer more than just the finest cosmetic dentistry in our beautiful state. We also offer a comprehensive range of world-class general dentistry services, including emergency dental care, at our Albuquerque, NM dental practice. If you suffer a dental emergency, we will do our best to accommodate you, providing the pain relief and immediate treatment you require. We will then formulate a long-term treatment plan designed to restore optimal health, aesthetics, and function to your mouth and schedule all necessary follow-up appointments with you. It is important that if you experience a dental emergency such as a broken or knocked-out tooth or extreme tooth pain, you do not delay in seeking treatment. Timing is truly of the essence in such matters. Please keep our contact information close at hand, and do not hesitate to schedule an appointment with us whenever you are in need of dental care, emergency or otherwise. First of all, if you have a question as to whether you are suffering a dental emergency, err on the side of caution. Seek treatment. It is far better to let an expert diagnose you than to diagnose yourself. The following list of dental emergencies includes some of the more common dental problems that require emergency care; however, it is by no means comprehensive. If you are in extreme pain or otherwise concerned for your dental health, contact our office immediately. Knocked-out tooth: If you experience a knocked-out tooth, gently rinse off the tooth, but do not scrub it or try to remove any attached tissue. If you can, return the tooth to its socket and bite down to hold it in place. If this is not possible, place the tooth in a glass of milk. Either way, get yourself and your tooth to a dentist immediately. Broken tooth: Collect the pieces of the tooth if you can find them and rinse your mouth with warm water. Use a cold compress to control swelling and pain, and visit a dentist immediately. Toothache: If you experience a toothache, first attempt to brush and floss your teeth. 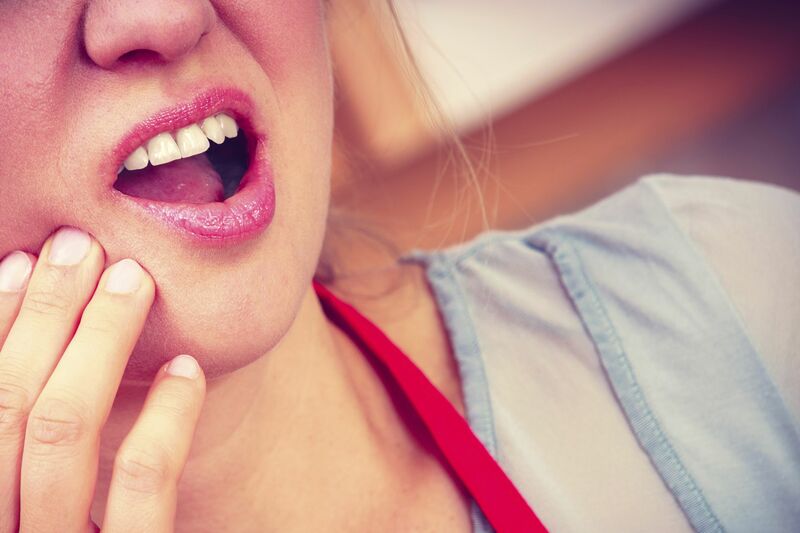 Often, a toothache can result from food particles lodged in between the teeth. Rinse thoroughly with an antimicrobial mouth rinse. If the pain does not subside within the hour, visit a dentist immediately. Bitten lip or tongue: Rinse the mouth with water and apply a cold compress to control swelling. Visit the dentist immediately. If bleeding does not stop, visit the nearest emergency room. Dislodged filling or crown: If a filling or crown becomes dislodged, and you do not have dental cement on hand, sugar-free chewing gum can be used to seal the exposed tooth. Bring the restoration with you to your dental visit. By nature, we never expect emergencies to arise. When a dental emergency does arise, we want to be your practice of choice. Contact Cosmetic Dentistry of New Mexico today for further information.